This article first appeared in Forum, The Edge Malaysia Weekly, on January 28, 2019 – February 03, 2019. 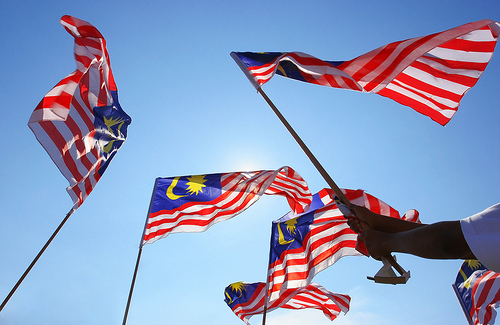 Building a new Malaysia must necessarily mean building a new Malaysian. This is because the 60 years that went before, for all its successes, bred dynamics that in the end led not only to corruption, destructive identity politics and politics of fear but also to bankruptcy in national ambitions, stagnation in socioeconomic growth and intolerance in inter-cultural interactions. What is important to note about May 9, 2018, when Barisan Nasional (BN) finally lost power, is that it was brought down by a gathering of Malay-based splinter parties, excepting the Democratic Action Party (DAP). This is significant, and highly illustrative of the deeper dynamics that had informed Malaysian politics since nationhood was achieved, and of the internal tensions the citizenry — each community in its own ways — had suffered. This sufferance, we have to admit, encouraged habits that now hampers the development of a New Malaysia that seeks to bask in the respect of the family of nations. Seeing how these splits all involved Umno in one way or another, the tensions have to be reflective of the eclipsed and growing diversity of the Malay community on one hand, and the narrative rigidity of the Malay-first agenda as dictated by Umno on the other. The latter worked by seeking to keep political consciousness introverted, and shielded from the sundry realities of regional and global politics. It also sought to make ethno-nationalism — augmented by religion — the only agenda to develop and conserve. Highlighting domestic conditions and intra-Malaysia ethnic relations as the wherewithal for political thought meant encouraging a distrustful mindset that was sensitive to insults and that proactively sought victimhood. The legitimate material and the historical reasons for the Malay community to seek protection and support from the state have over time been clouded by dogmatic opportunism, edgy racism and defensive superciliousness. In many ways, this is par for the course in the numbers game of ethnic one-upmanship played in Malaya since British times. The vanity of making identity the rationale for democracy, governance and morality had to become obvious sooner or later, as individual, class and hierarchic interests over time belie the myth of race and the limits of identity politics. It can be argued that the peaceful changing of the government last year was in fact the Malay community itself realising that the old way of doing politics had been bankrupted, and even if identity politics must continue in some form, a new progressive path must be found. This is the New Malaysia that is being sought; it is not the simple polar opposite of race politics but nevertheless something more inclusive and open, and much more cognisant of regional trends — and Malaysia’s and Malaysians’ weighty role in it. Plural society and poverty were not the two major ills hampering the Malay community, as recognised in the New Economic Policy implemented in 1970. Instead, it was innovative entrepreneurship — a shorthand term for the mindset needed for any community to survive in the speedy technology-driven and capital-driven global economy — that was missing. It is the developing of collective ambience of entrepreneurship that should have been the priority, not a zero-sum game of disarmament against other ethnicities. The fact that Malaysia now has at least five major Malay-based political parties — Anwar Ibrahim’s Parti Keadilan Rakyat may be a multiracial party but it is nevertheless Malay-based and increasingly so — testifies to a dismissal of racial unity under one party as the best expression of the community’s political will, and as the best path to survival in the global economy. While it may seem that Chinese Malaysians are strongly united now, judging from how they voted so strongly for Pakatan Harapan, it was the promise of a new coalition — led by the two most prominent Malay leaders since the late 1980s — to bring down what they saw as a corrupt and increasingly racist government tolerant of religious extremism, which attracted so many of them to one side of the political divide. Parallel to this was the steady loss of faith in the other major Chinese parties — the Malaysian Chinese Association and Parti Gerakan Rakyat Malaysia. Now that the job of toppling BN and Umno is done, it is only a matter of time before the Chinese vote disperses in support of different Chinese-based parties again, to the extent these can revitalise themselves. New ones may appear as well. The Indian community, being rather small and diverse, will probably seek political expression in a multi-ethnic party, such as the DAP, and gain exaggerated representation there as a major intra-party minority. The Malaysian Indian Congress and other minor Indian-based parties do not appear able to rejuvenate themselves. Over in Sabah and Sarawak, both will most likely use inter-ethnic, historical and political exceptionalism to gain leverage with the federal government. The Malays being technically the country’s clear majority will define the New Malaysian the most. If the majority of them choose to remain introverted and stick to defensive pride instead of being extroverted and seeking to gain pride of place among neighbouring peoples as a productive cultured people, then Malaysia will lose the promise it now holds and become a static and uninteresting place, a frog staring at the inside of a coconut shell. Truth be told, each ethnicity is essentially diverse and disunited in its own way. That is not a problem at all, but a good sign. The celebration of ethnic diversity so often propounded by so many, should first and foremost be a celebration of diversity within each ethnicity. We are all minorities, and we should be proud of it.